Oh well, I still praise the idea of the story very much and I think that solely earns 3 stars, but I didn't find it to be an entertaining or engaging read for it to earn anymore than that. 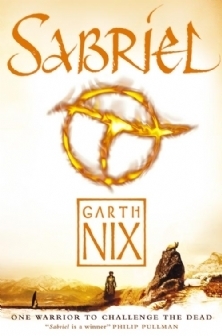 Sign into Goodreads to see if any of your friends have read Sabriel. this was one of my favourite books when I was a teen! Hope you enjoy! I will, thanks! :D I heard it was kind of like lord of the rings. really? Personally I don't think it's anything like it, but I suppose I can see how some people may think that lol. Well, as long as there's some action and a dense plot I will be happy. Haha..the Sabriel defeats it part was..funny ! Glad to know I'm not alone in being underwhelmed by this supposedly AMAZING book. Elena wrote: "Glad to know I'm not alone in being underwhelmed by this supposedly AMAZING book." Given how much I loved Lirael, I really expected to like this book more than I did, but your review really does a good job of summing up my thoughts on it. I think Nix did a much better job on the emotional aspects of his characters in the rest of the trilogy.